Deguisa manufactures different sealing masses to fill the joints between the components of the refractory package used on the sliding valve system, among other applications. The composition of each product allows adapting to different geometries and thicknesses of refractory joints and the operational needs of each client. SEAL-PLAST Sealing joints between plates - collector nozzle insliding gate systems. GRAPHITE MASS Sealing joints between nozzle and block. SEAL-CHROME Sealing joints between nozzle and block, and between plug and block. Formats adaptable to the needs of the plant. Qualities designed to optimize the use in service. Sealplast: Excellent performance in operation and easy take-off after use. 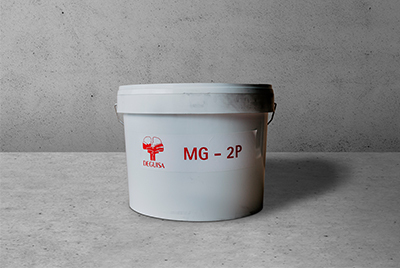 MG-2P: It allows a watertight seal and an easy extraction of the nozzle. Seal-Chrome: Guarantees a correct sealing in very thick joints and in applications of high structural responsibility. Do you need more information about Sealing masses or about other products or services? Send us your details and we will contact you.